Sean earned his B.S. in chemical engineering from the University of Nevada, Reno in 2010 where his research was focused on developing efficient proton exchange membranes for fuel cell development. During this time, he became familiar with polymer synthesis and modification techniques to be used for future studies. He then went on to start his PhD in biomedical engineering from Michigan Technological University in 2010 under the advisement of Dr. Megan Frost with a focus in the nitric oxide field and finished in 2015. Being familiar with chemical synthesis, he developed novel controllable nitric oxide releasing polymeric biomaterials and investigated nitric oxide’s role in controlling undesirable subcutaneous inflammatory events. While investigating these events, Sean became efficient and familiar with histological techniques through analyzing in vivo tissue samples by antibody marking and the ability to accurately quantify these labeled cells. 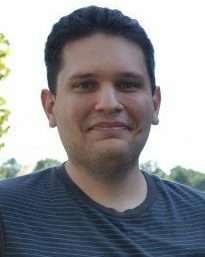 In 2018, James joined as a post-doctoral fellow at Handa Lab in the University of Georgia (UGA) where he is actively working on NO releasing wound dressings. Before joining Handa Lab he worked as a visiting researcher in Ramasamy Lab, UGA in the field of sodium ion batteries. Between 2014-15, he did his postdoctoral research at Gyeongsang National University (GNU), South Korea. 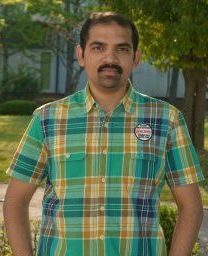 In 2012 he joined as an Assistant Professor in the University of Kerala, India after one year post-doctoral research at GNU. He pursued his Ph.D. under the supervision of Prof. Dr. Jou-Hyun Ahn in GNU, Jinju, South Korea funded by Brain Korea (BK21) scholarship (2007-2011). He has also worked in Excel Glasses Ltd and Sree Chitra Tirunal Institute for Medical Science and Technology after the completion of his Masters from the University of Kerala, India (2004). James have published 35 papers and have presented in 25 conferences around the globe. 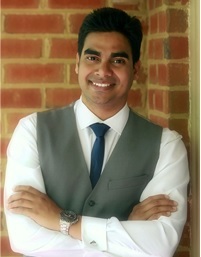 After completing his MSc study in nanotechnology at University College London (UCL) by exploring novel techniques for the synthesis of carbon nano-onions, he received his PhD degree in chemistry from UCL in year 2018, where he combined bactericidal and anti-adhesion properties into single materials that may have potential in external healthcare environments and also as medical devices in patients. 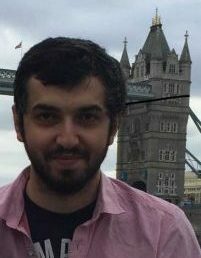 He is currently working as a post-doctoral fellow at Handa Lab. His goal is to investigate novel antibacterial approaches for medical device applications. Jitendra earned his M.Eng degree with specialization in Biotechnology from BITS-Pilani University in year 2015. His Master’s thesis entitled “Nitric oxide releasing material for catheter related blood infections (CRBIs)” was carried out at UGA. Jitendra completed his B.Tech-Biotech degree from ICFAI University Dehradun, India in 2010 during which he did one academic project and two industrial trainings. Post his Bachelor’s studies, he worked for 3 years in the capacity of a Scientist at Biocon Research Ltd, a Biopharmaceutical giant. Working with a highly committed team in Biocon, Jitendra took on four projects out of which two projects on developing mAbs (against Psoriasis and Breast Cancer) got commercialized lately. In addition, he has also pursued short-term projects in the University of Wurzburg Germany; National Brain Research Center (NBRC); IIT-Kharagpur; Regent Healthcare and Prolabs Ltd.